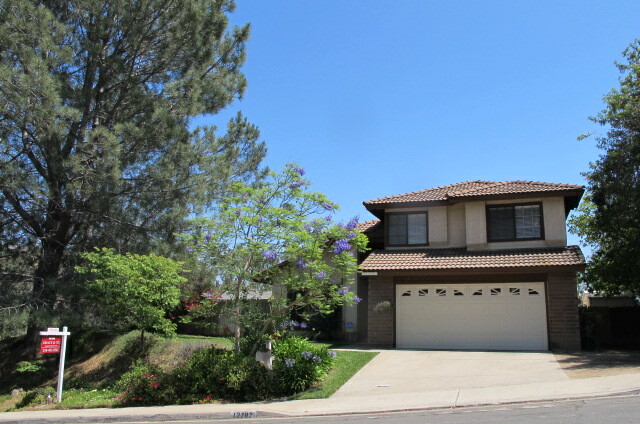 South Park Home in San Diego, CA at 1546 Bancroft Street, 92102. 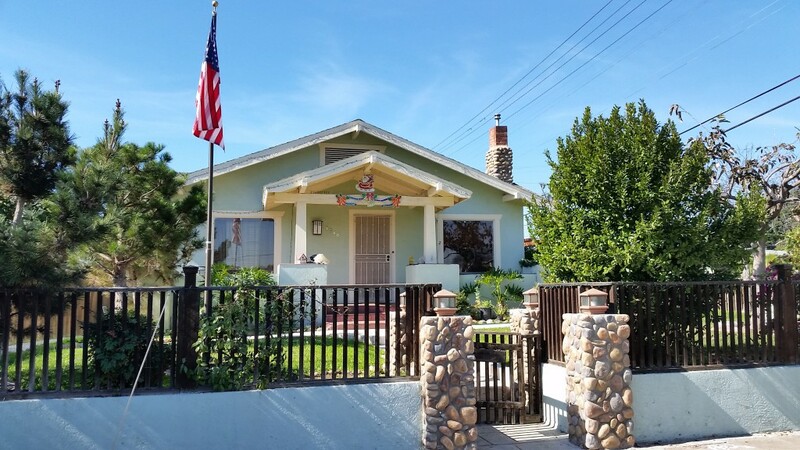 This is a large corner lot home with 3 bedrooms, 2 baths, plus a granny flat with it’s own separate entrance; patio with hot-tub over two car garage and amazing views. This home is not listed in the MLS just yet. So contact me for more information. This entry was posted in Uncategorized on February 5, 2015 by Frans VanLeeuwen. 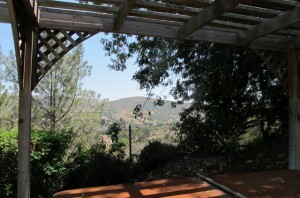 Quiet private retreat and spa with views in Penasquitos. Sold 2014. This entry was posted in Uncategorized on October 27, 2014 by Frans VanLeeuwen. Selling a Fixer for Profit in San Diego Still Works! New HARP 2 (Home Affordable Refinance Program 2) – For Home owners who want to refinance but have been unable to because their mortgage balance is higher than the homes current fair market value. In most cases NO appraised value is required! HAMP (Home Affordable Modification Program) – For home owners who qualify to permanently lower their monthly mortgage payment because of financial hardship. HAFA (Home Affordable Foreclosure Alternative) – Provides the home owner with “Move-Out-Assistance” in the amount of $3,000 (Payable at close of escrow) when short sale (selling) their home. A short sale is when the the property is sold at a loss and there are no net proceeds to the seller from the sale of property. 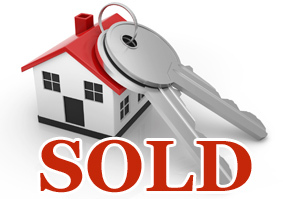 We do not charge any selling fees to sell the property. A professional service provided by Frans VanLeeuwen, helping friends and clients for over 30 years. If you read my last blog I listed what you need to know about short sales. 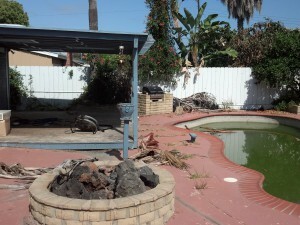 As you may know, a short sale is the best way to liquidate a property that is underwater. Short sale means your loan balance is higher than the current market value of the house and its “short” of paying off the balance and the loss is absorbed usually by the lender. A “strategic default” is where the borrower can afford the mortgage payment on an underwater loan in relation to to the current lower value of the property and decides to stop making the monthly mortgage payment, in a sense cut his losses, with the intent of short selling the property. In California, the mortgage is called a trust deed which usually has an acceleration clause. The clause states if you miss a mortgage payment the lender, at its option, can start the process of foreclosure starting with a Notice of Default (NOD), and eventually accelerate the note for full payment or foreclose. The strategy is for the borrower’s home to be sold on a short sale acceptable to the lender before the property is foreclosed upon, where title reverts to the lender. Therefore, it is imperative you find the right team to handle your short sale (proper packaging) and sale of the home. Interestingly enough, back in late 2006, one of the earliest strategic defaults I did for short sale was on a vacation property. The borrowers easily afforded the monthly payment but were unhappy with the significant drop in value of their home and wanted out due to extenuating circumstances. 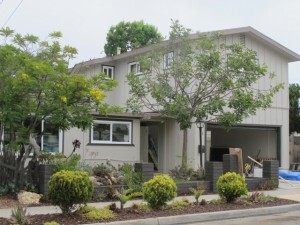 However, the borrower still has to qualify with their lender to be approved for a short sale. It is ironic because I began my career originating and packaging borrowers loan applications, to get them approved so they can get in to their home. I guess I have come full circle, as I package borrowers on short sales to get them approved to get out of their home loan. The fancy term is called “release of loan liability” evidenced by the lenders short sale approval letter and of course the final HUD 1 closing statement to be used for tax return purposes. If interested and see if you qualify for a strategic default please contact by email or just call me. 858—492-9262. I am happy to help. There is no charge for this service. This entry was posted in Uncategorized on October 22, 2014 by Frans VanLeeuwen. As a long time resident and home owner in San Diego, you appreciate the wonderful outdoor quality of life here; the temperate mild & mostly warm sunny weather eleven months of the year, our beautiful San Diego Bay and its little sister, Mission Bay. I live just minutes from Mission Bay and have sailed, kayaked, paddled and biked every nook and cranny of it. A great stress release work-out is to sail, paddle or bike the bay during the week, when usually, you have the whole place to yourself! 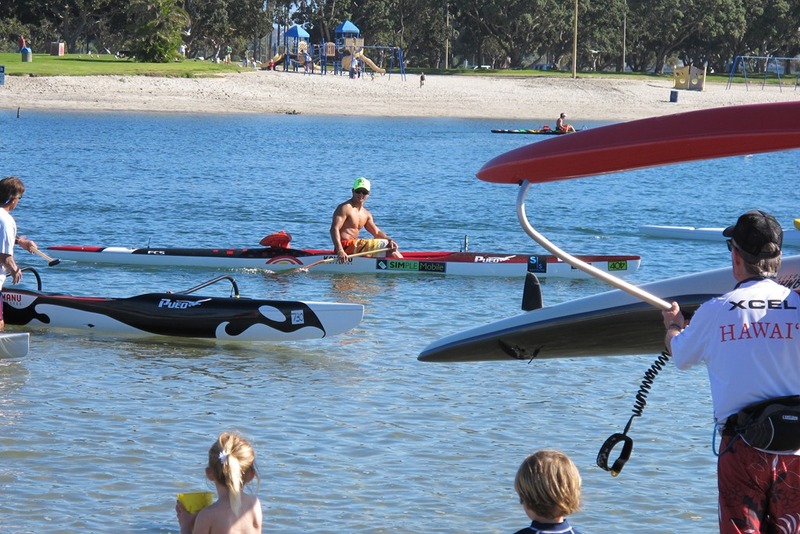 My nephew, Jason Lane is a serious OC1 paddler. He paddles with world renowned Danny Ching, and they just came back from Hawaii from a race with all the top paddlers in the sport. Me, I am just glad I can keep it upright from capsizing! Jason gave me his OC1. 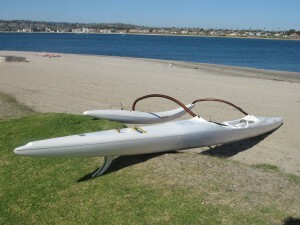 An OC1 is short for outrigger canoe, the 1 stands for one-man canoe. Canoes go from 1 man to 6 men in a canoe. The OC1 canoes are approximately 21 feet long and 16 inches wide, weighing about 25 to 28 lbs., made from carbon fiber and kevlar – space age technology (see pics below). It’s both very strong, stiff and light. It has a 7 ft. “ama” (outrigger) on its left side connected to the “vaca” (main hull). The wooden paddle is 52 inches long with a carbon face. Because of its lightness and long water line, the canoe glides effortlessly through the water. It looks graceful and after a few hundred strokes, it becomes a serious work out of your core muscle group in your midriff, abs, shoulders, lower back and arms. 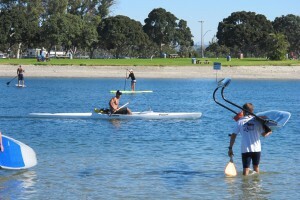 I love being on the water, exercising and gliding, which keeps you in present time. Experiencing the gentle sparkling water, sea gulls, pelicans and the occasional sea lion and yes, dolphins in the bay! 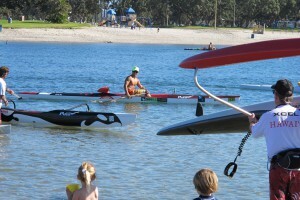 Danny Ching, #1 OC1 and SUP race paddler, one of the best! Pueo Outrigger Canoe 1 man, the latest technology! 1. A short sale is the best way to liquidate a property that is underwater (Where mortgage loan balance is higher than the fair market value of the home). It is far better than if you do nothing and are foreclosed upon. During the process you will retain living in your home without having to pay the mortgage, or pay any fees for short sale, real estate commissions, escrow, title, or majority of closing costs. 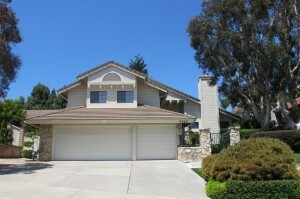 Usually you don’t pay anything in a short sale escrow. Our goal is for you to receive a copy of the short sale approval letter and its conditions from the lender as soon as possible. 2. 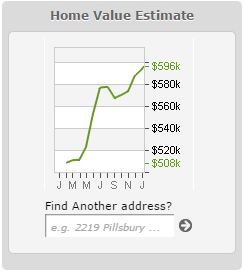 Short Sales are technical in its paperwork. Be ready to provide financial information and complete some disclosure and authorization forms. Working with mortgage banks all these years prepared me with servicing lenders & loss mitigators . The best and most ablest professional negotiators usually have a track record of working with loss mitigation, originated home loans and sold residential real estate (At least six years). Short sales is the fine art of packaging the seller (borrower) financial situation to a lender’s loss mitigator for approval, simultaneously marketing/selling the home on the Open Market/MLS/Syndication/Web Site for a credible offer acceptable to the lender. 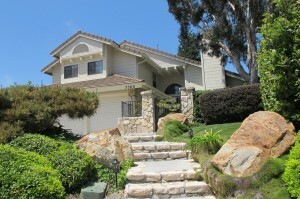 My website www.homedreams.com offers the latest technology in exposure for selling short sales listings. 3. Transparency is key. We educate all parties of a realistic time frame of closing escrow with the servicing lender – especially if there is more than one lender involved as in the case of a HELOC (Home Equity Line of Credit lender). 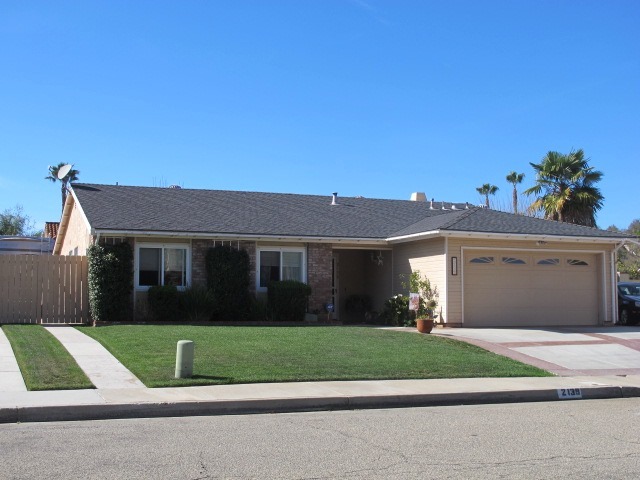 The CAR (California Association of Realtors) real estate forms have included a short sale addendum and advisory, spelling out the transaction is subject to Lender approval (the servicer and the ultimate investor). There is no guarantee a short sale can close in the same time frame as a traditional purchase – in thirty days or less – and therefore plan accordingly. All lenders and circumstances of each short sale is different! In my experience it’s best to be conservative on time frame of approval and closing, rather than being optimistically premature. A lot of lenders now provide home owners through the HAFA (Home Affordable Foreclosure Alternative) Program with a $3000 “move-out assistance” check at the close of escrow. 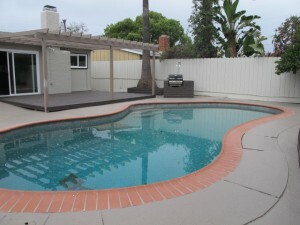 We can also assist the seller with re-establishing their credit and relocating to a new residence. 4. Because negotiating with the Loss Mitigator, the sellers credit and release of loan liability hangs in the balance, we understand the need to move quickly and efficiently. We take on the responsibility of facilitating removal of the the clients mortgage debt and sale of the home, literally removing the burden off from the seller’s shoulders. 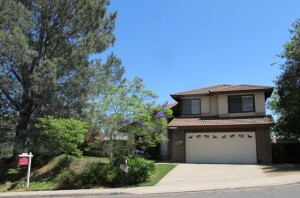 Having done short sales since the “great financial meltdown” or real estate bubble bursting loan modifications, short sales and foreclosures in San Diego, California, I can guide you through the maze and complexities, negotiating, advocating and exclusively protecting your interest in the process. The best part, if my analysis reflects a short sale is your best option, my services are at no charge to you! Call me at 858-492-9262 for a confidential appointment. This entry was posted in Uncategorized on August 22, 2014 by Frans VanLeeuwen. This home is perfect if you own a RV Owners: 3 bedroom, 2 bath home in Southwest Escondido at an affordable price. 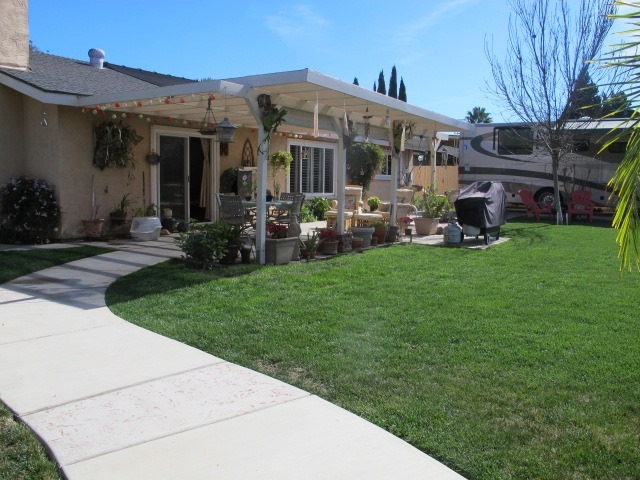 Over 1/4 acre level with 118 foot Class A RV pad plus room for boat and car. Fenced in with 30 amp hook up and sewer connected dump station for the RV. Call Van 619-985-7252 for showing and information. This entry was posted in Uncategorized on February 19, 2014 by humanitysoftware. HOA only $187 includes water. 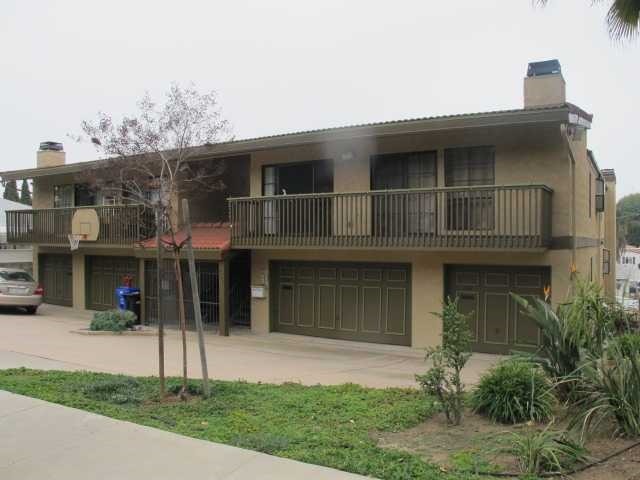 This Ocean Beach Condo community is a small gated complex which is very close to Point Loma High School, Dana Elementary Middle School and Explorer Elementary and grocery stores in walking distance. 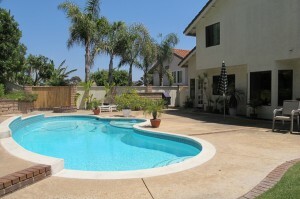 In addition, it’s located minutes away from the 8 Interstate freeway by way of Nimitz Blvd. This entry was posted in Uncategorized on February 8, 2014 by humanitysoftware. 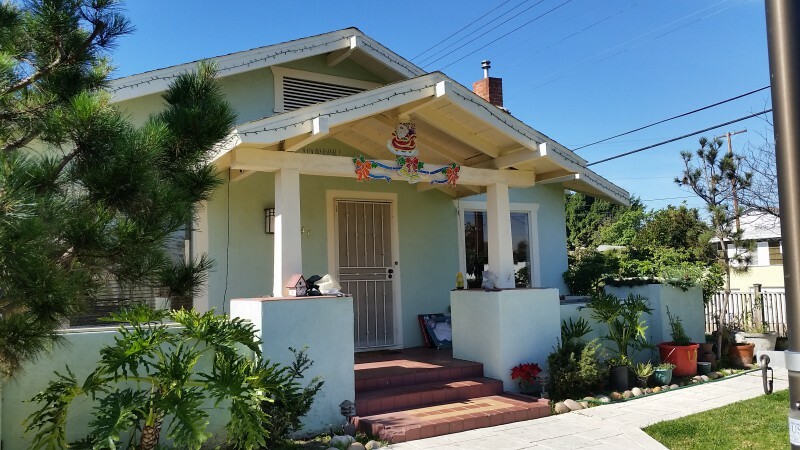 Clairemont is one of San Diego’s established neighborhoods, zip code 92117, built in the early sixties, just off the coastal beach communities of La Jolla, Pacific Beach and Mission Bay approximately 3 to 7 miles inland from the Pacific Ocean on the Mesa. Here the sun shines more and the coastal eddies don’t reach in as far. 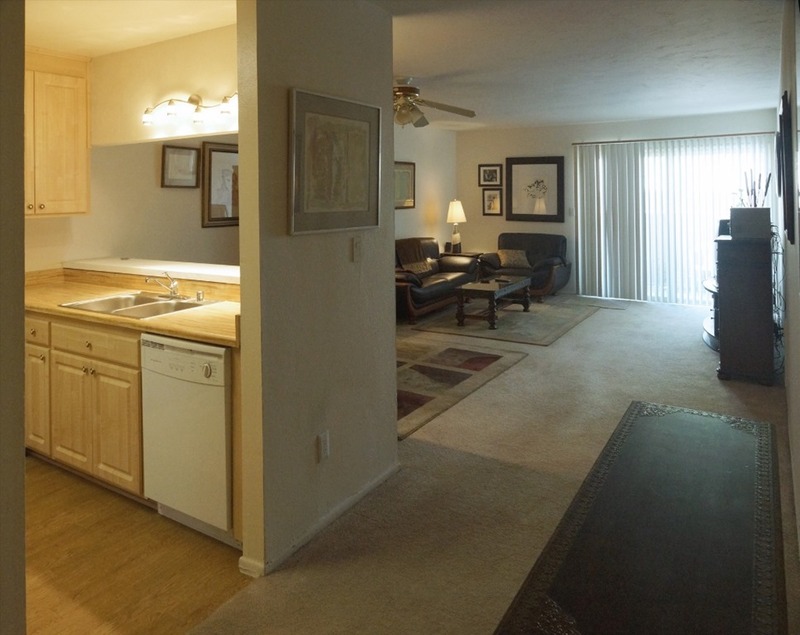 It is ideally, conveniently and centrally located to five freeways – Interstate 5, 163, 805, 52 and 15. Clairemont is located in the sweet spot of San Diego where rarely you will experience grid lock as you may elsewhere. 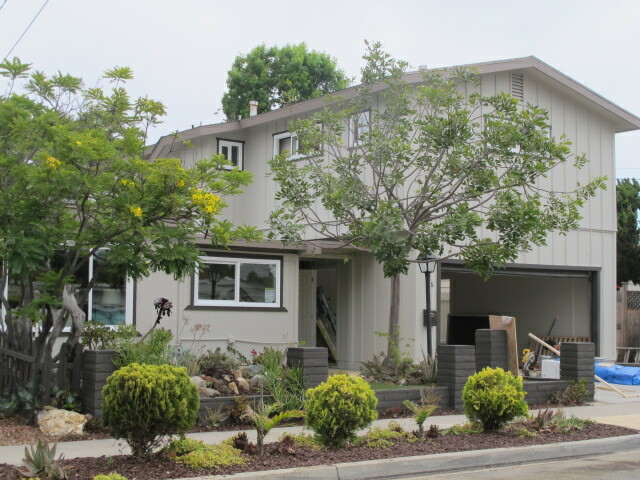 The homes are smaller than the coast and prices are more attractive, mostly in the $450 – 650K range. 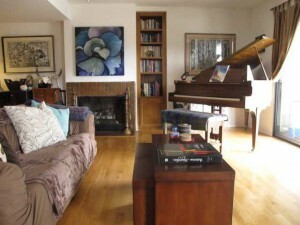 One of the nicest areas is where this home on 6041 Charing Street is located. 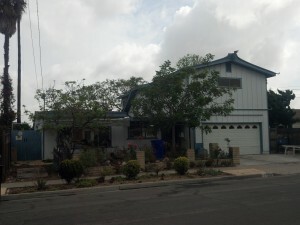 A three bedroom 2 bath single story with 2 car garage on a corner lot room for your RV or boat! The home just received a fresh coat of paint and the lawn has been re-landscaped with new sprinkler system and seed. It has been upgraded with new bathrooms and updated kitchen. 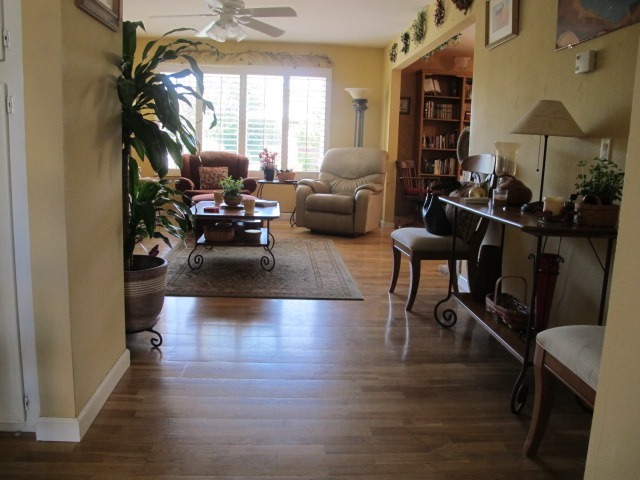 Newer flooring is a plus and there is a sun/patio room attached to home in the backyard. The fireplace is in the living room. 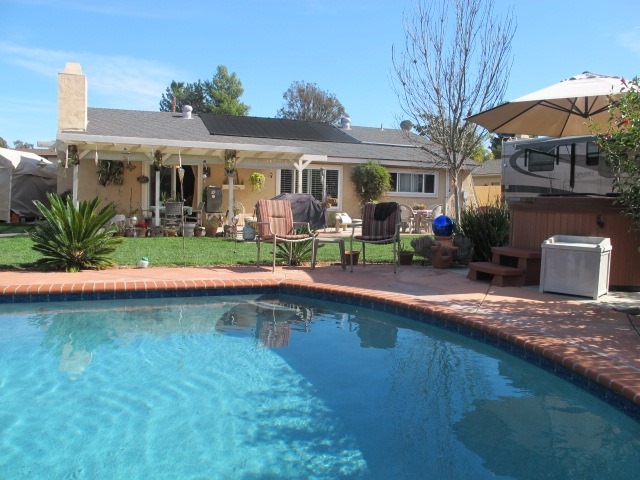 This is an estate sale where it is now ready for a new family! This entry was posted in Uncategorized on October 22, 2013 by Frans VanLeeuwen. Oh my! 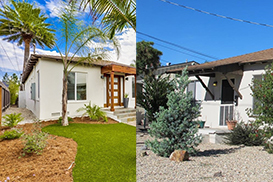 Because of pent up demand for San Diego homes for sale and historically low home loan interest rates in the last 50 years, sellers are enjoying multiple offers on their homes listings. Click here to search San Diego Homes for sale. 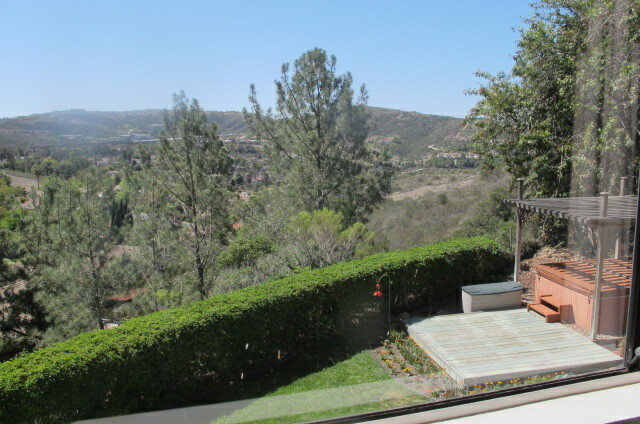 Click here to contact Frans VanLeeuwen for more information how to buy or sell a home in San Diego! This entry was posted in Uncategorized on April 22, 2013 by Frans VanLeeuwen. This entry was posted in Uncategorized on May 22, 2012 by Frans VanLeeuwen.